MyDigitalSSD introduces the Super Boot eXpress (SBX) PCIe NVMe SSD Series featuring the Phison E8 controller and a more affordable price point for consumers. 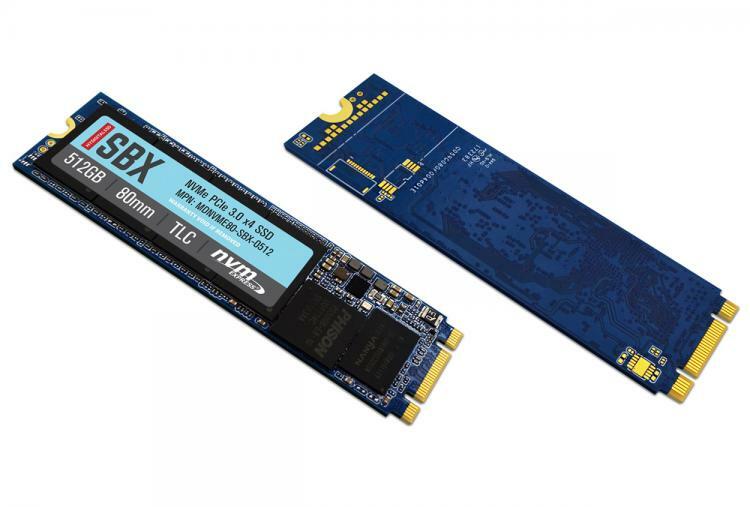 The SBX Series is a follow-up to the award-winning MyDigitalSSD BPX NVMe SSD Series. The SBX Series still offer performance greater than SATAIII SSD drives with up to 1600MB/s sequential read speeds and 1300MB/s sequential write speeds. The SBX NVMe SSDs uses a single-sided 2280 M.2 form factor offering a space-saving and ultra-fast storage solution for current generation devices. Featuring the robust Phison E8 controller, SBX solid state drives pair TLC 3D NAND with NVMe technology to maximize bandwidth while lowering latency and power consumption for guaranteed peak performance under heavy workloads. All of this package at a more affordable price range making it the best bang-for-buck NVMe drive solution for both gamers and average consumers. The MyDigitalSSD SBX is available in 128GB, 256GB, 512GB and 1TB capacities. MyDigitalSSD SBX 80mm (2280) M.2 PCIe Gen3 x2 NVMe SSDs will be soon be available. Pre-orders available exclusively the MyDigitalDiscount. Pricing for 128GB, 256GB, and 512GB capacities are just $64.99, $104.99 and $184.99 respectively. Pre-order now to avail 10% discount.